This weekend my boyfriend came to visit me in Milan. 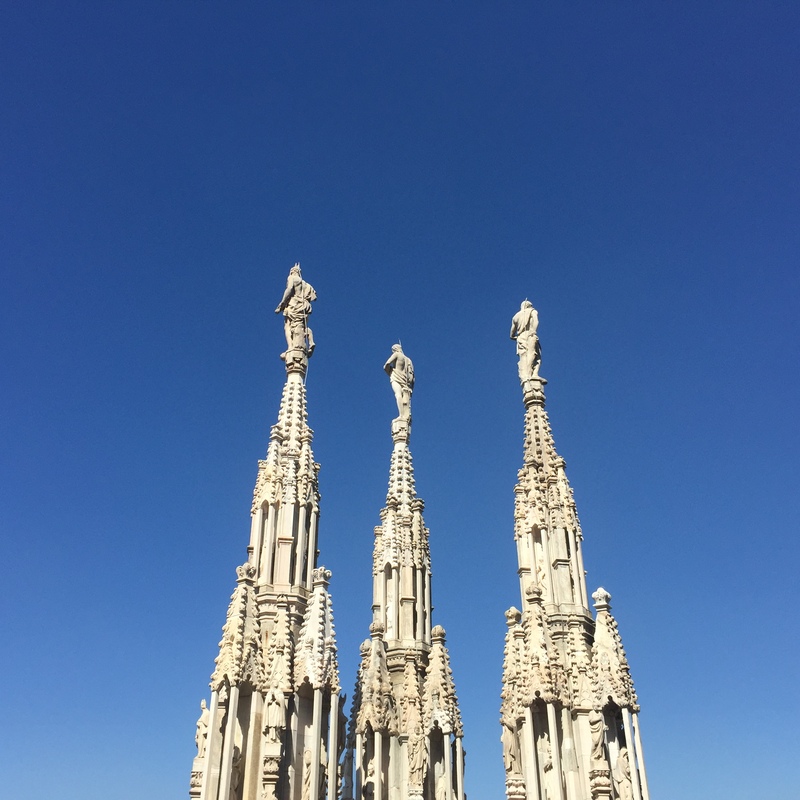 It was beautiful weather (all sun, no clouds) so we decided to climb the Duomo. 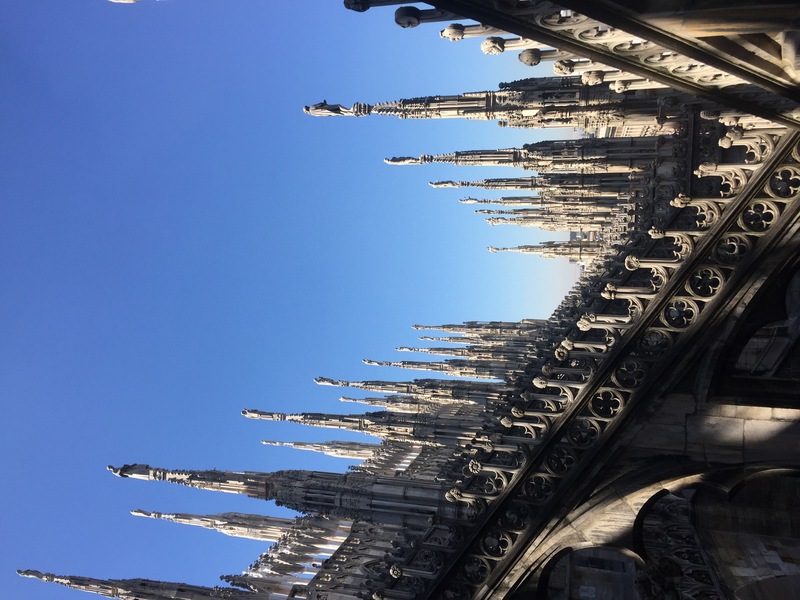 The view of the Duomo is amazing and I would recommend climbing it to anyone. 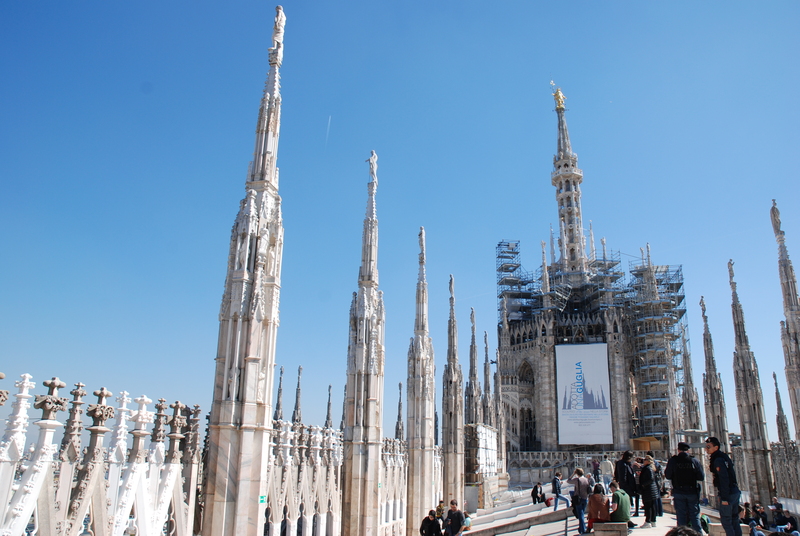 Currently they are renovating part of the Duomo, but it should be finished before May, when the World Expo starts. You can either take the stairs or the elevator, however the climb with the stairs takes a lot less long than you would expect. We took the stairs, also because it is cheaper than riding the elevator. At the top you can there are two levels, one goes around the Duomo (part was closed now unfortunately) and in the middle you can go up to the actual roof. The view is amazing and because of the sun a lot of people were also just lounging on the sloped roof. 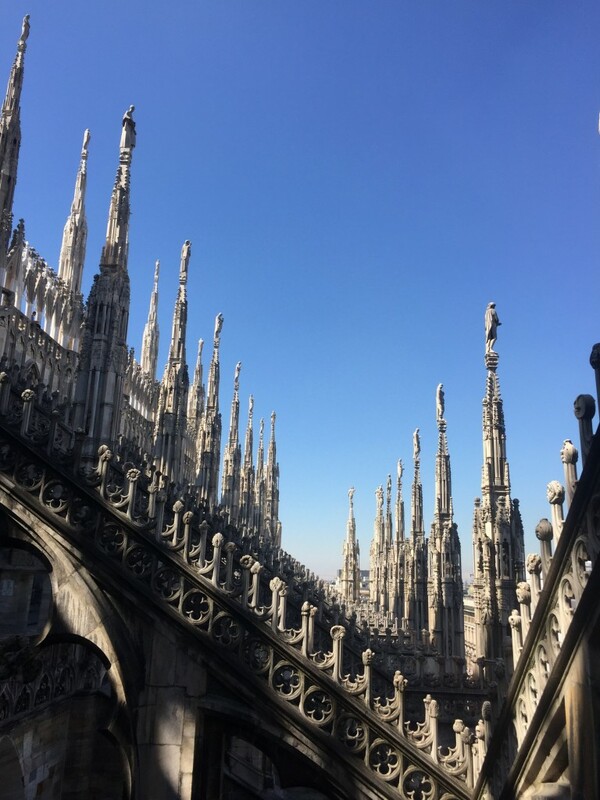 From the roof you can look out over Milan and it is really cool to see everything. 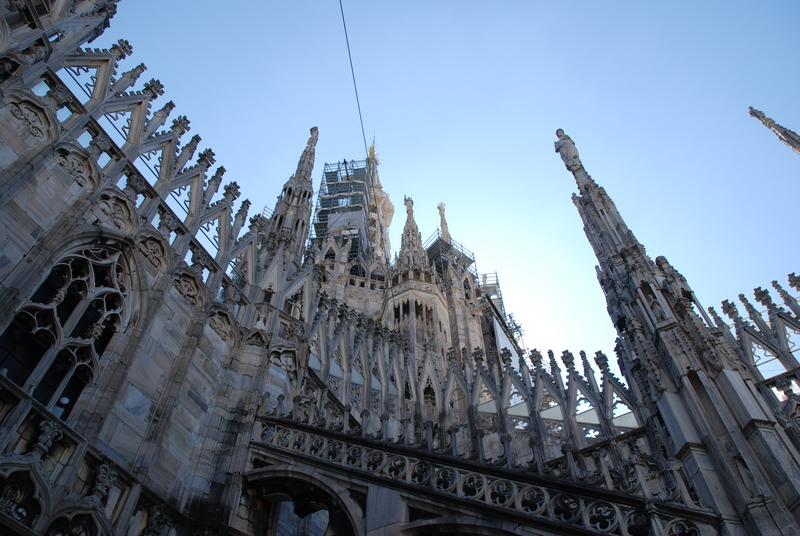 After we had climbed the Duomo we also went inside. There is usually a line outside, but it is just for checking the bags. Entrance to the Duomo is free, but you do have to pay if you want to take pictures. Inside the detail is almost as excessive as outside, with beautiful stained glass windows. There is also a tomb, which is underneath the middle of the church. I had not yet been there and there was also a small place for an artifact and the room it was in had such elaborate detail, it was beautiful. So definitely worth going down to see it!